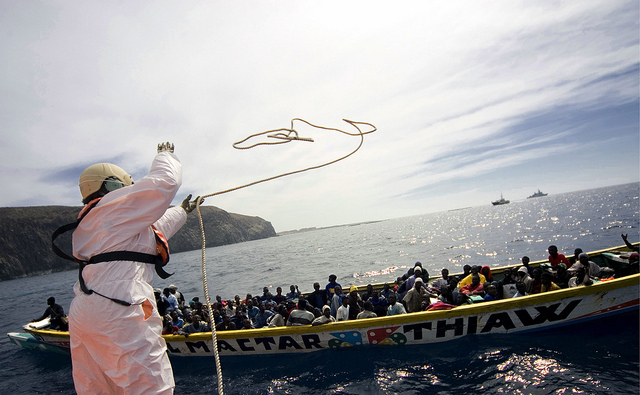 ECDPMOn the EEAS’ 1st birthday: have EU-Africa relations benefitted from the past year? In the various analyses of the European External Action Service (EEAS) one year on, those who view the glass “half empty” (mostly independent analysts, journalists and think tanks) seem to have the upper hand on those who view it as “half full” (the official report). Key questions for assessing the EEAS’ performance in relation to Africa are: has the EEAS helped to upgrade the political dialogue between the EU and Africa, and increased the coherence of EU policies, while also furthering development commitments? Africa as a whole, like many other regions and issues, has struggled to get appropriate attention from the highest levels within the EEAS. The High Representative’s recent official report on progress makes few references to Africa, and those included mostly relate to the Arab Spring, or to European security and piracy issues. This very much illustrates how the EEAS, and its top hierarchy dealt with Africa during 2011. Africa is going up the geopolitical and economic agenda and has many suitors, notably China and other emerging players. Yet, it is a continent where the EU continues to be a major player (which can’t be said for many regions of the world), and thus it is an opportunity for the EEAS to capitalise on. In October 2011 the EEAS set out a more comprehensive course for its future engagement with Africa in its policy document “New Framework for European Relations with Africa”. New frameworks, but what about the old ones? Some aspects of the new framework the EEAS laid out for Africa are undoubtedly good given the momentous changes on the continent in the past year. However, there is a danger that this new EEAS framework both “reinvents the past” and paradoxically “throws the baby out with the bathwater” by downplaying the comprehensive Joint Africa-EU Strategy (JAES) agreed in 2007. Given the difficulties with the JAES it is perhaps unsurprising that the EEAS felt the necessity to have its “own” framework in addition to the JAES. Yet this is a delicate balance for the EEAS to manage – to set out its own priorities while not undermining the JAES. Indeed the JAES has had difficulties for a while, with the EEAS currently conducting its own review on how to invigorate it. It is however the European Commission led proposal for a €1 billion Pan-African Programme, rather than an EEAS initiative, that looks most promising for breathing life into the JAES and making up for the lack of dedicated funding to it since 2007. The EEAS noted in its report that it has to hold up to 80 ministerial meetings last a year. However, it was unable to successfully ensure that either of the usual two long-running EU-Africa Ministerial Dialogues meetings, which since 2007 also provide political oversight to the JAES process, took place in 2011. Indeed this was a momentous year in Africa and it “takes two to tango” insomuch as the blame for the lack of Ministerial Political Dialogues lies equally with the African side. While these meetings in the past were never truly ground breaking or inspiring, they did ensure that the many initiatives which the EU and Africa had running at the continental level had political oversight and leadership. The ministerial discussions were also giving momentum to the technical and financial side of the relationship. So in 2012 one indicator for the EEAS’s performance when it comes to EU-Africa relations will be whether these meetings occur. But also if EU-Africa generally will have the political leadership and energy to truly reinvigorate this relationship, as meetings without substance and leadership mean little. In Europe the EEAS will have to try and catalyse this leadership in its own top hierarchy but also further afield in EU member-states. Many EU member-states are recasting Africa as an economic opportunity rather than a development challenge, the way it was perceived before. This was illustrated by Germany and Ireland who in 2011 developed their own Africa strategies or initiatives noting their own national economic interests as well as development concerns albeit also referencing the JAES and importance of the EEAS. It is certainly up to the member-states to work with the EEAS to ensure an appropriately coherent EU approach and there wasn’t too much evidence of that in 2011. Integrated EU strategies, such as the ones for the Horn and Sahel that were adopted in 2011, are a start but the level of EU member-state commitment, let alone buy-in from African partners is not clear. But it is early days. Despite the fact that the EU’s relations and interests in and with Africa go “beyond development”, development concerns remain centre stage in Africa’s interest towards the EU. Therefore how the EEAS has dealt with development issues remains a keen interest for Africa. Analysis presented in ECDPM’s recent discussion paper EU development cooperation after the Lisbon Treaty: People, institutions and global trends was not particularly positive on how development issues were being dealt with by the High Representative and EEAS. ECDPM’s research for instance found no evidence that policy coherence for development was a priority in the EEAS. Unclear reporting lines and divisions of tasks between the EEAS and the European Commission’s DG DEVCO has created confusion within these bodies, as well as beyond. There is communication between officials, but there is also duplication of efforts and protectionism rather than smooth EEAS – European Commission DEVCO collaboration. CONCORD, the European confederation of development NGOs, is more trenchant in its criticism but also notes some positive developments. While a week maybe a “long time in politics”, a year is a short time to set up a functioning EU diplomatic service. Given the overall circumstances and the fact that one year is a short period of time, the EEAS has not had a bad start in relation to Africa. 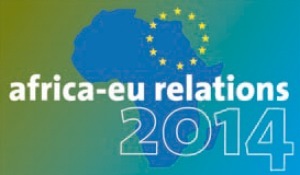 However, there are numerous challenges for EU-Africa relations in 2012 and the EEAS will need to show progress on upgrading the political dialogue, improving the coherence of EU action and being able to further development commitments. Yet it cannot do this alone: EU member-states, the European Commission and Africa partners have to be receptive and see their own interest to get behind and support the EEAS in doing so. Andrew Sherriff is Head of the EU External Action Programme at ECDPM.